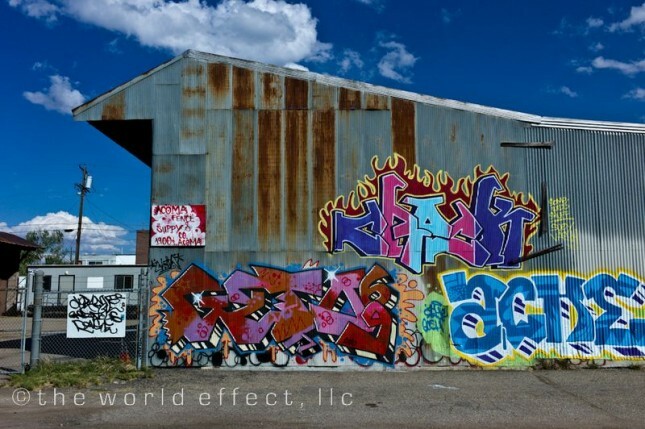 I took the above photo here in Denver, Colorado. 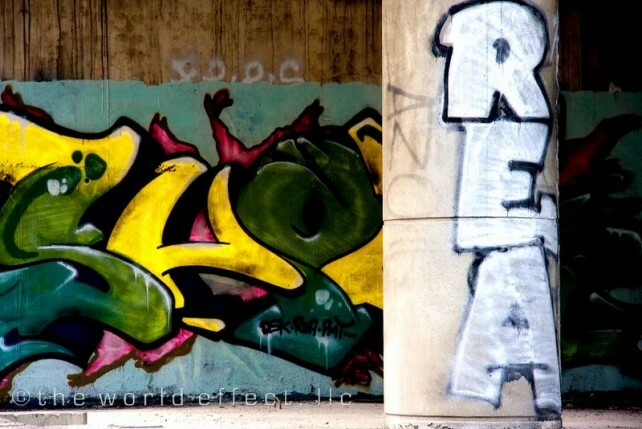 I’ve always been drawn to walls of graffiti and it seems Meggan and I like to photograph it. 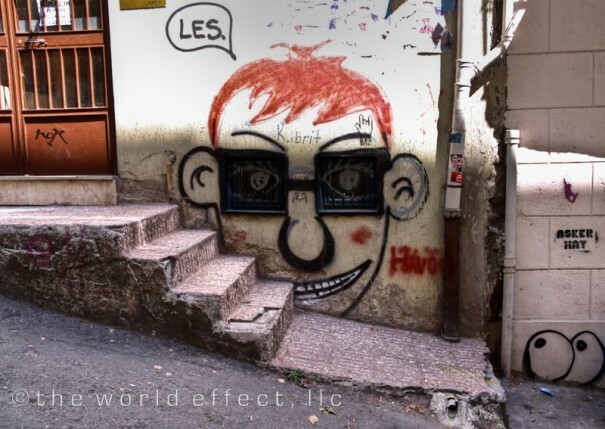 No matter what your stance on graffiti is, you can be certain you’ll see it pretty much across the globe. Speaking of graffiti, our garage recently got tagged (again) by some guy named, “Silk”. This post is for you Silk, and who ever else is interested. 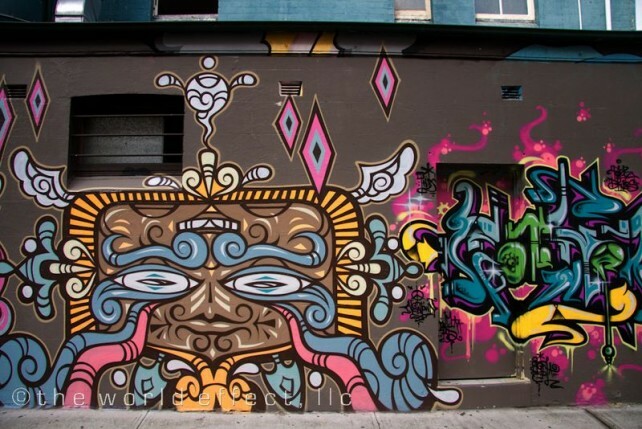 Here are some works of art with a spray can from around the world, enjoy. Kuala Lumpur, Malasia near china town. 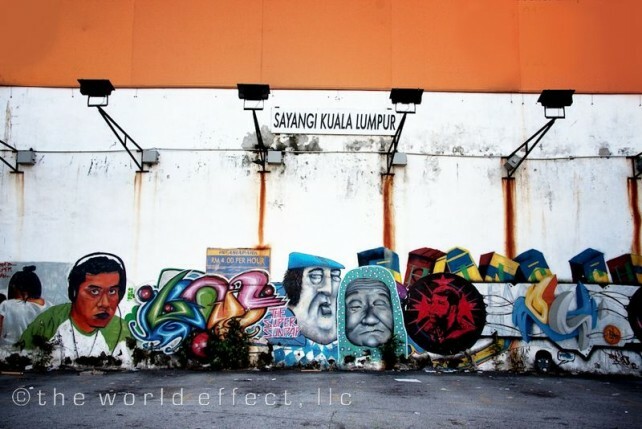 There are many pieces like this around both china town and little India. Many of the paintings seemed to have quite powerful subject matter. Valparaiso, Chile. Murals like this are all over the place. 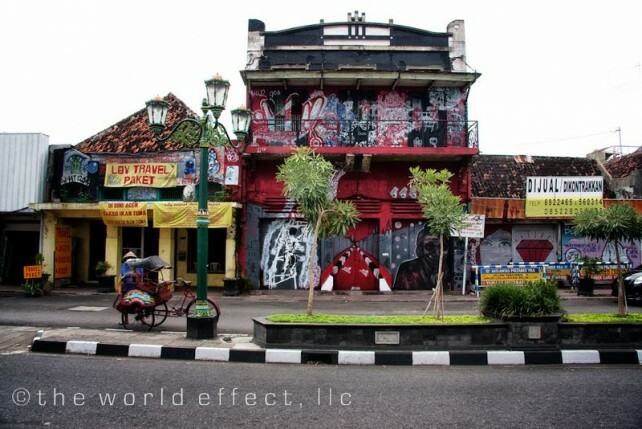 Not only are the paintings colorful, so are all the buildings. This portrait of the woman, is officially my favorite piece of street wall art in the world. 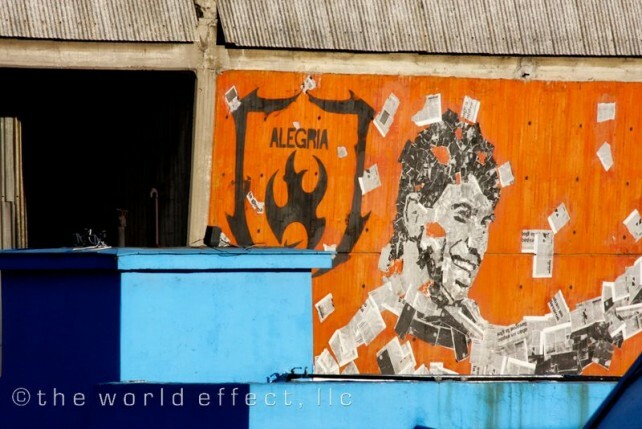 I believe this is La Boca in Buenos Aires. Again, another place where everything is full of color. 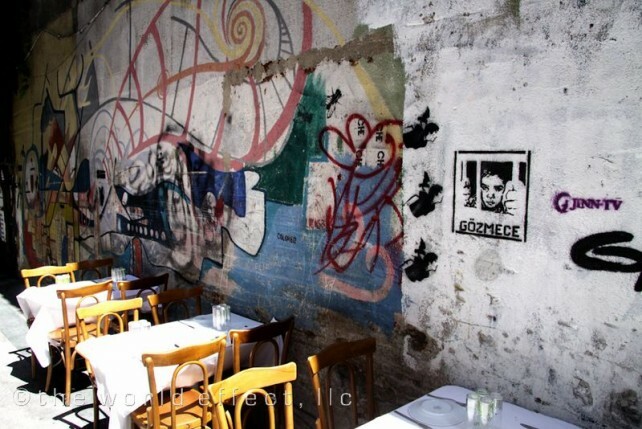 This is in Bairro Alto in Lisbon. I had fun watching these guys skate. The girls up on the wall were requesting tricks and the guys did thier best to impress. I love the eyeballs in the corner. This is near the Pera neighborhood in Istanbul, Turkey. This is a great neighborhood, kind of a hipster/artist community winding through narrow streets. This photo was taken at one of our many stops somewhere in Siberia… I think… on the Trans Mongolian Express. Vodka makes this look even more vibrant, try it. This is in Sukhumvit, Bangkok. We always knew which stop to get off on the metro because this huge abondodnd building with each floor graffiti’d was at our stop. These buildings are in Siem Reap, Cambodia. 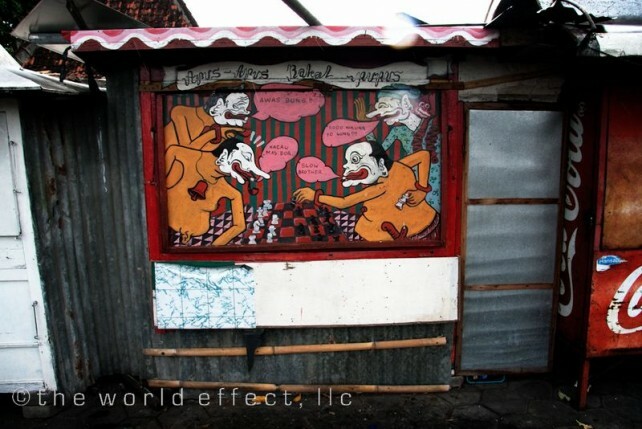 All the guys playing chess are speaking Javanese, except for the one guy saying “slow brother.” I think it’s interesting that these charicters are very similar in shape to traditional Javanese shadow puppets. This is on a wall in the old part of Jodhpur, India, “The Blue City.” Yogi’s is a guest house right near the center of town. 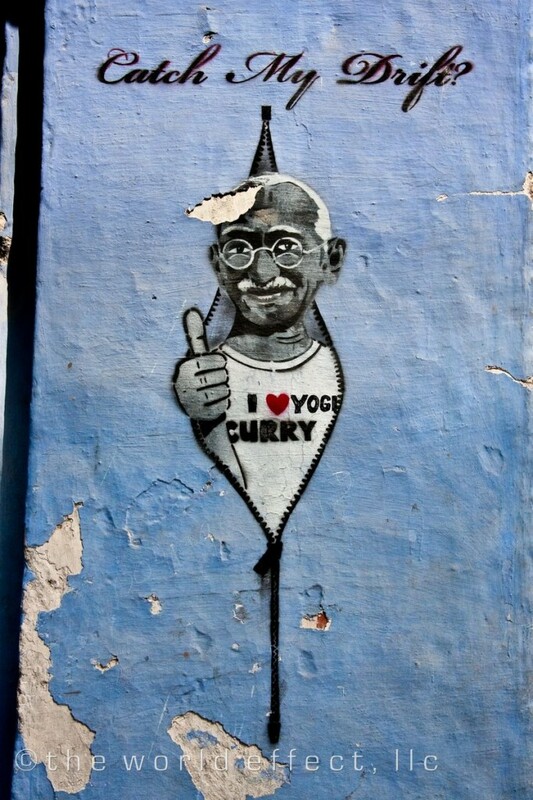 Aparently, thier curry is endorsed by the late Muhattma Ghandi… which is nice. 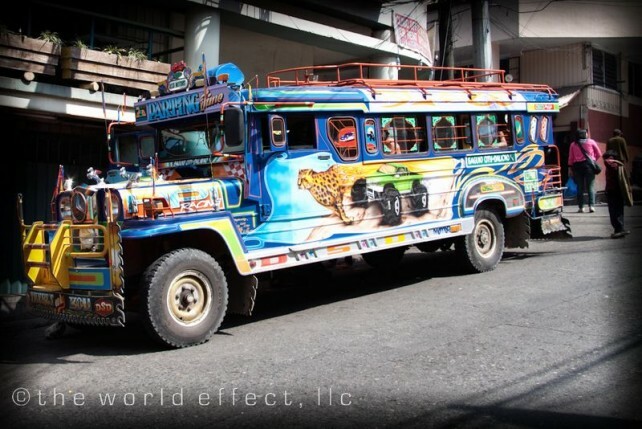 If you are seeing vehicles like this, you know your in the Philippines. 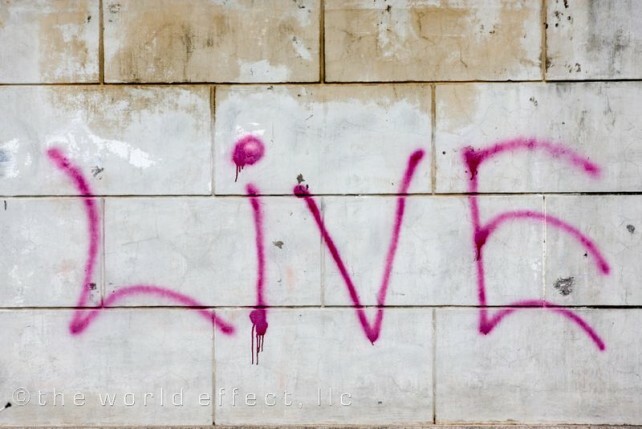 I know, this is not quite wall graffiti, but close enoough. These rides are called Jeepneys and are all left over from the US military. Now they are they’re main form public transit and obviously, the outlet for the driver’s self expression. Okay, maybe a stretch, not really graffiti, but kind of, sort of. 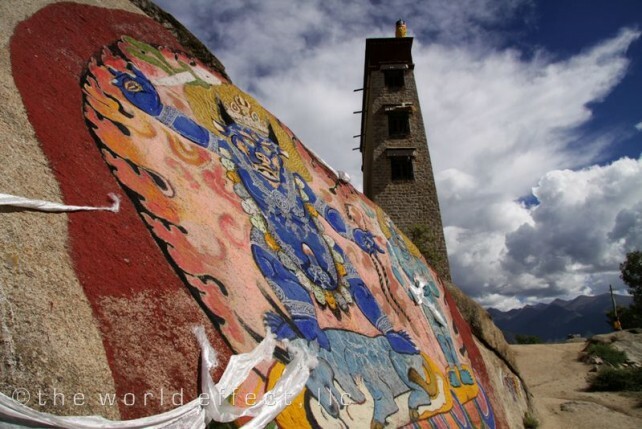 This is in Lhasa, Tibet. 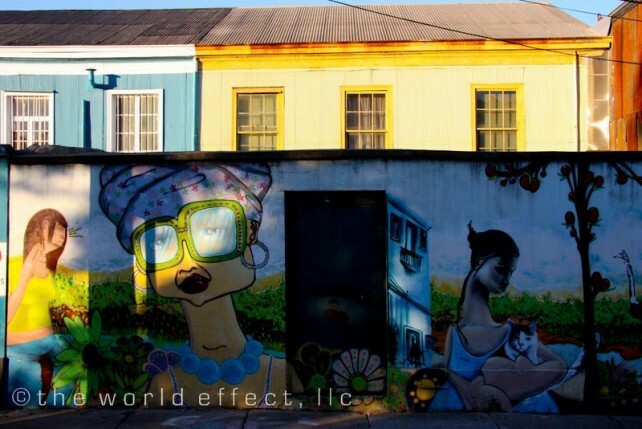 You will see murals like this all over the place, both on man made objecs and in natural setting like this one. 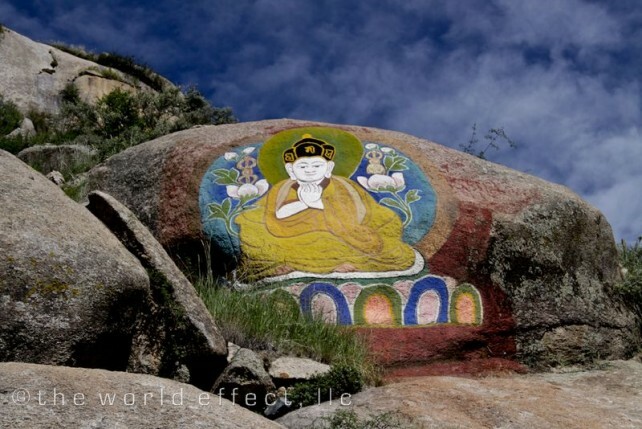 These have probably been painted and repainted for thousands of years. It’s interesting to compare this with the photos above, still the same vibrant colors, still painted by someone to communicate a message. More graffiti from down under. I think this mural is in the Newtown area in Sydney, but I could be wrong though. This is in Granada, Nicaragua. Simple, not sure why, but this really struck a chord with me. 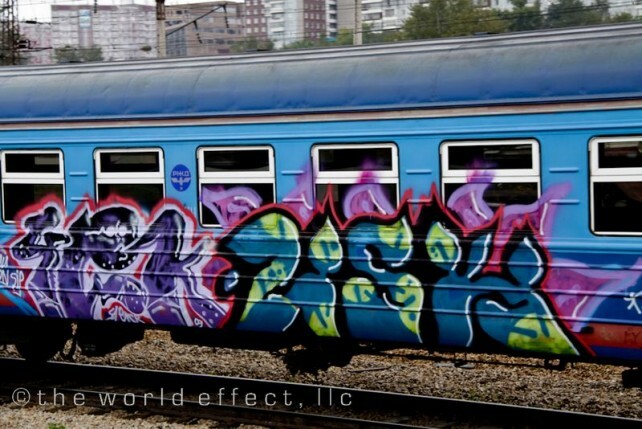 Stunning post on graffiti around the world! 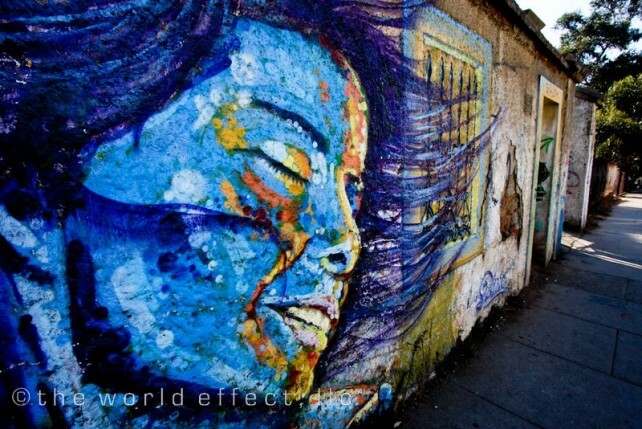 Street art can become unforgettable travel memories. I’m seeing and hearing more and more about street art everywhere including an upcoming international festival.